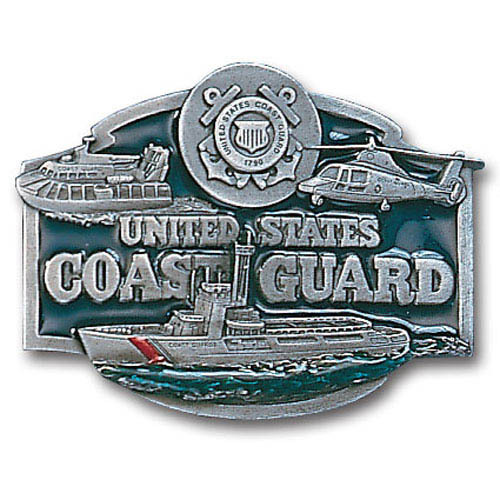 Scultped and hand enameled key ring featuring a U. S. Coast Guard emblem. 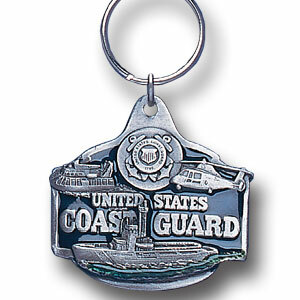 Scultped and hand enameled key ring featuring a National Guard emblem. 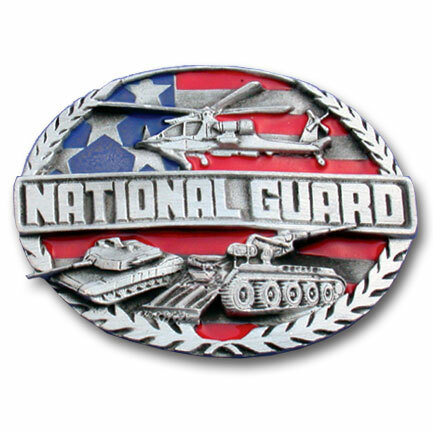 "This buckle is to celebrate the National Guard. 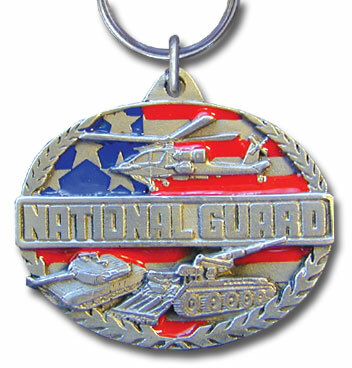 There is an American flag, a helicopter and two tanks on the front as well as ""National Guard"" written in bold. On the back are the words, ""The men and women of the National Guard perform an invaluable service to the United States in national defense and community services."" This exquisitely carved buckle is made of fully cast metal with a standard bale that fits up to 2"" belts."